As everyone knows, one of the most attractive features of southern California is our spectacular year-round weather. Those with a love for the outdoors can enjoy outdoor recreations almost 365 days a year. Bicycling, of course, is one of those recreations, and many enjoy it passionately. In fact, some in Orange County have stopped driving entirely. Bicycling is cheaper, healthier, and better for the environment. 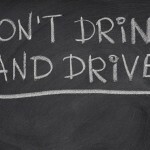 Some also think they can drink as much as they like and avoid a DUI by using a bicycle. They need to think again. Riding a bicycle when you’re intoxicated is against the law here in California. If you’re charged with bicycling under the influence – BUI – in Orange County, you’ll need the legal help of an experienced Orange County DUI defense attorney. If your bike is self-propelled – that is, if you’re pedaling – and you’re intoxicated, you can be charged with BUI. The significant difference between a DUI charge and a BUI charge is that a first-offense conviction for BUI is punishable only by a fine of not more than $250.00, which is substantially less than you would be penalized for a DUI conviction. More importantly, a BUI charge is a difficult charge for a prosecutor to prove beyond a reasonable doubt. 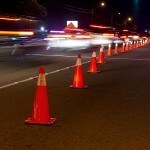 A good DUI lawyer will challenge the evidence and testimony against you and fight vigorously in your defense. Even though most people can afford the fine, you still want to fight the charge. If you’re a professional, or if you drive for a living, any alcohol-related conviction is going to impact your career in a very negative way. If you are charged in Orange County with riding a bicycle while under the influence – now or in the future – get the legal help you need and call an experienced Orange County DUI defense attorney as quickly as possible.